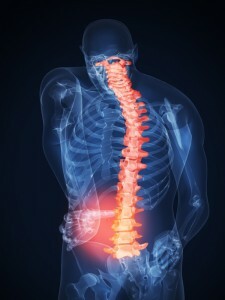 Spinal cord injuries are more likely than other types of serious injuries to cause permanent, lifelong impairments of body functions, according to information from the National Injury Prevention Foundation. Only 0.9 percent of those who suffer a spinal cord injury achieve a full recovery; even five years after a spinal cord injury, up to 88 percent of survivors still struggle to complete basic daily tasks like dressing, cooking, and bathing. Because spinal cord injuries are still so difficult to treat, prevention is most people’s best chance of avoiding this life-altering condition. Buckle up. Wearing your seat belt can help protect your spine in case of a New Hampshire automobile crash. Children should be secured in safety seats appropriate for their age, height, and weight. Wear proper safety gear. When playing any sport, choose proper safety gear that fits correctly. Helmets, pads, and other safety equipment can help protect your spine – and other body parts – from injury. Before diving into water, check the depth. If the water is nine feet deep or less, never enter it head first. Check for “No Diving” signs or warnings and always follow them. Practice gun safety. Many spinal cord injuries, especially to children and teens, are caused by gunshots. Keep your guns unloaded and locked in a safe place your children cannot access. Teach children and teens gun safety, and discuss with them the appropriate and inappropriate ways to use guns. Spinal cord injuries change not only the lives of those who suffer them, but the lives of those they love as well. If you or someone you love has been injured in an accident, the experienced New Hampshire spinal cord injury attorneys at Tenn And Tenn, P.A. can help. Call us today at (603) 624-3700 or 1(888) 511-1010 for a free and confidential telephone consultation.